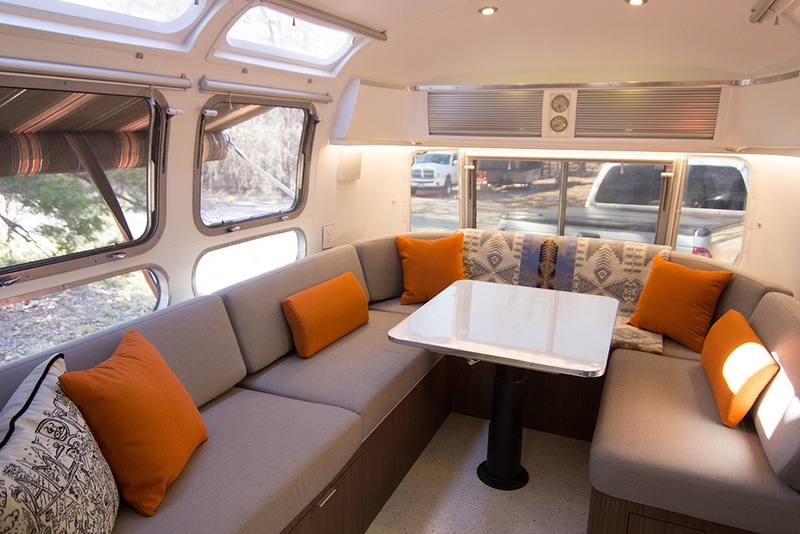 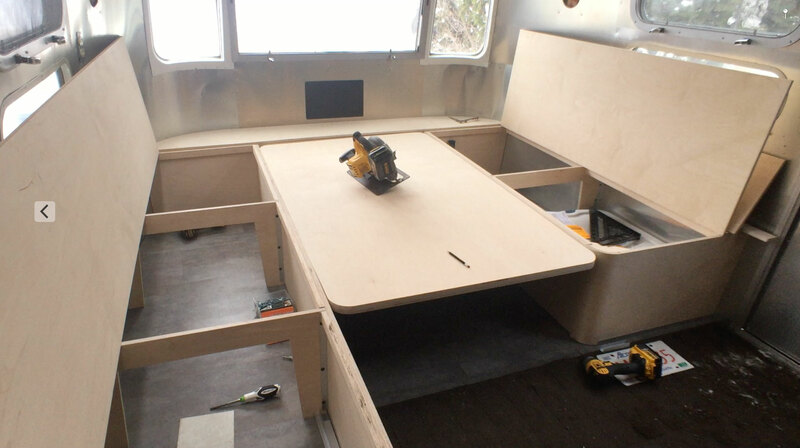 Pernille and I looked at a lot of Pintrest, YouTube and otherresourses on the interwbs to figure out what we wanted our Airstream to look like and function. 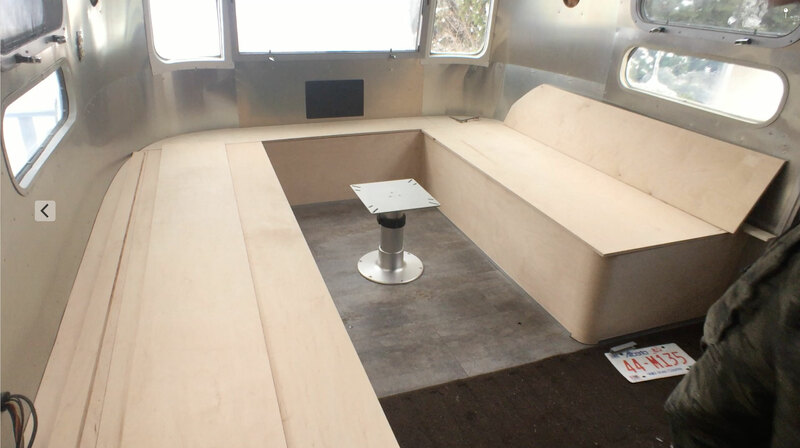 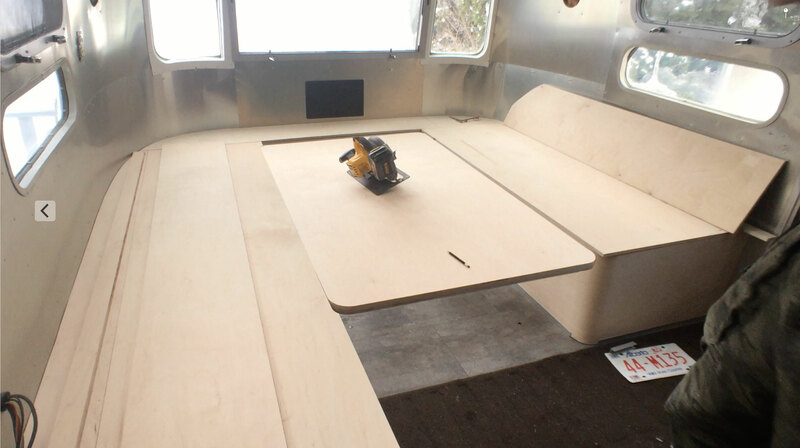 We decided we wanted a U-shaped dinette in the front to give our family a larger area to sit at for meals and gaming as well as a queen size bed for the Wild Boyz to sleep. 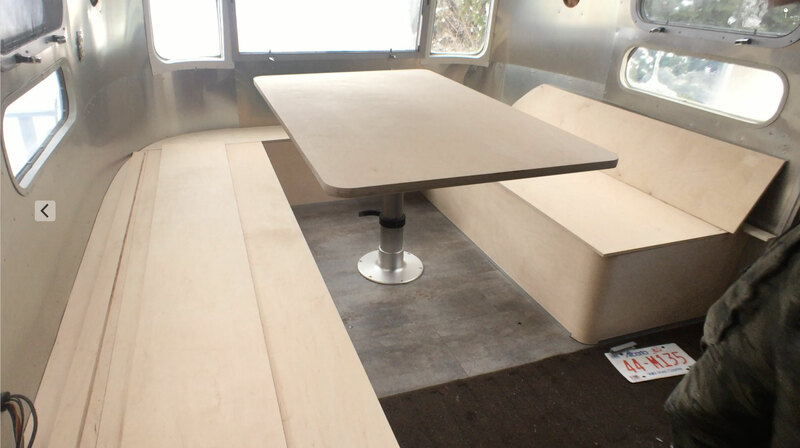 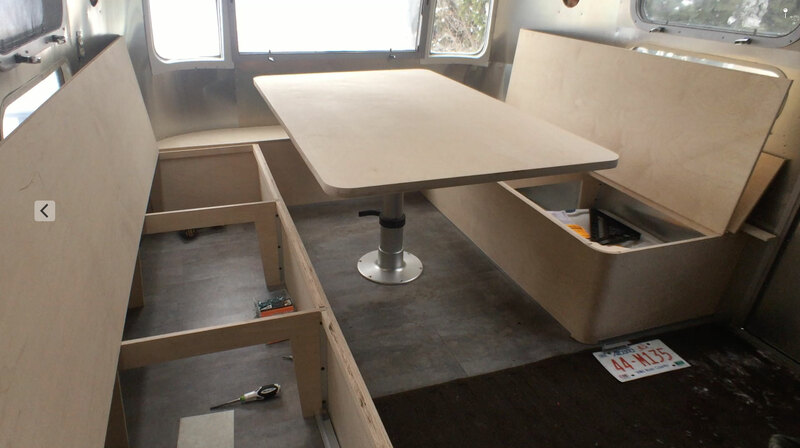 Here are some photos of the dinette before we stained it.